As you can see we have the V-40 Boom with the PT-900s motorised head, mounted on the VPD-4 Wheeled Dolly. The VPD-4 can also be fitted with track skates for the UniTrack system. Also the Artes Boom is fitted with the ‘New’ EPT Pan/Tilt head and Monitor. All Cambo Booms are easy to set up and when dismantled can be transported in the V-444 case. The CS-Video rigs are tripod and shoulder mounted and are configured for Canon HDSLR and DV Cameras. Speak to Richard or Koop at the show and they will show you how easy it is to change a DV rig to a HDSLR rig in 2 easy steps! Don’t forget … CAMBO SPECIAL OFFER – 47% off the list price! 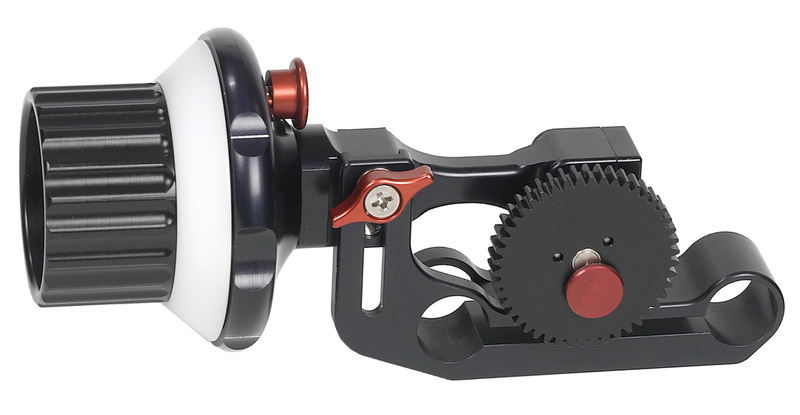 The Follow Focus is available for sale on the stand. There are a limited number of units available at this ‘very special’ price. For more information please follow this link and contact the Cambo sales office. 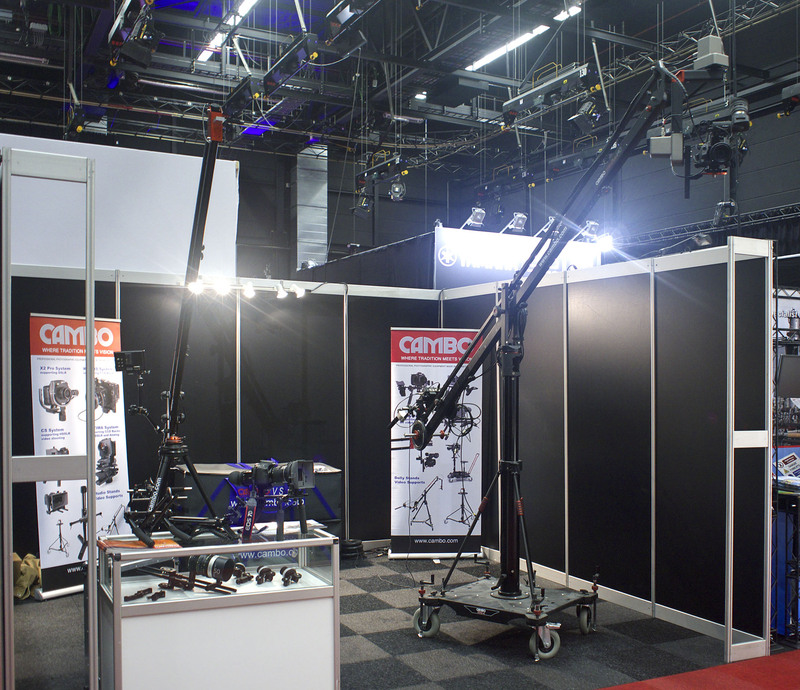 This entry was posted in CS Video Rigs, Exhibitions & Open Days, hdslr, Unitrack, Video Booms, Video Pedestal and tagged Artes MPT Boom, Cambo, CS-MFC-1 Follow Focus, CS-Video Rigs, DSLR rig, EPT Pan Tilt Head, HDSLR rig, Pedestals, UniTrack, Video Rigs, VPD-4. Bookmark the permalink.